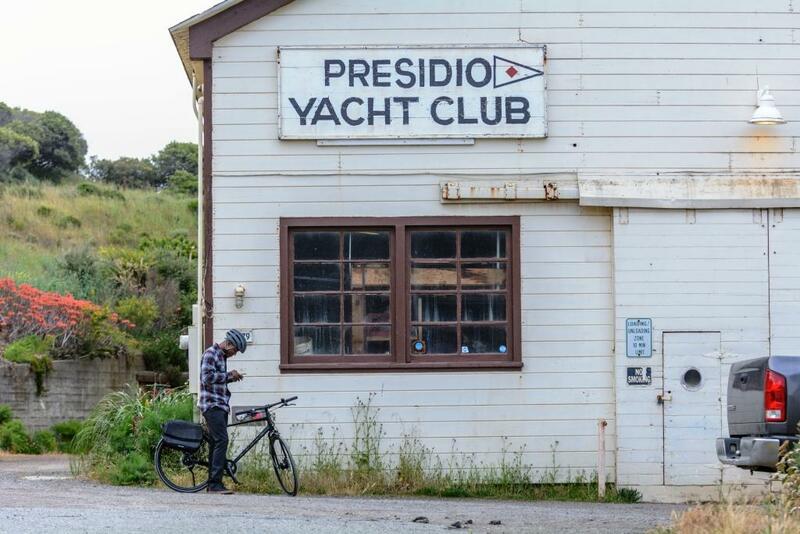 The Presidio is a historic waterfront park--and gateway to the Golden Gate Bridge for San Francisco bicyclists. It is also the inspiration for several new belt drive commuter bikes from legendary Bay Area brand Marin Bikes. 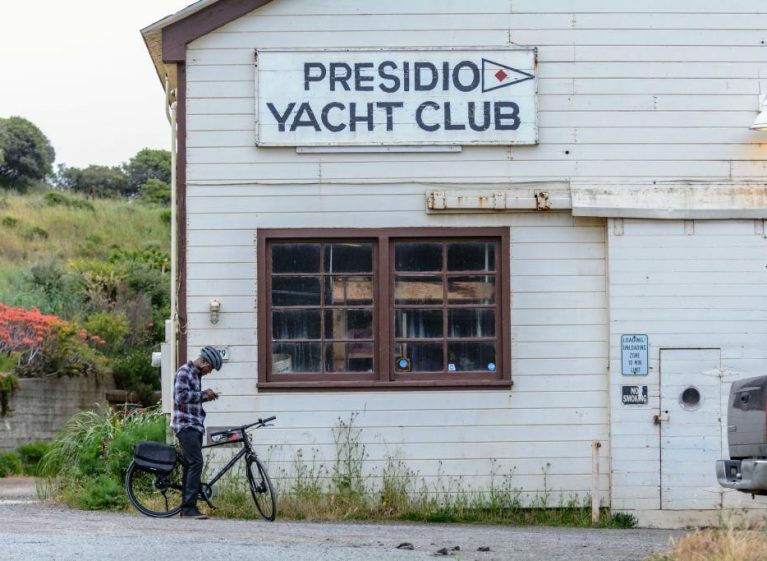 The Presidio 4 is the flagship model in Marin’s 2019 Transit line. It was designed to meet the needs of tech savvy bike commuters in the Bay Area–and beyond. In addition to its clean and quiet Gates Carbon Drive belt, the Presidio 4 has an Alfine 11-speed internally geared hub, hydraulic disc brakes, dynamo lighting, aluminum fenders and an integrated carrier system ready for your laptop bag. 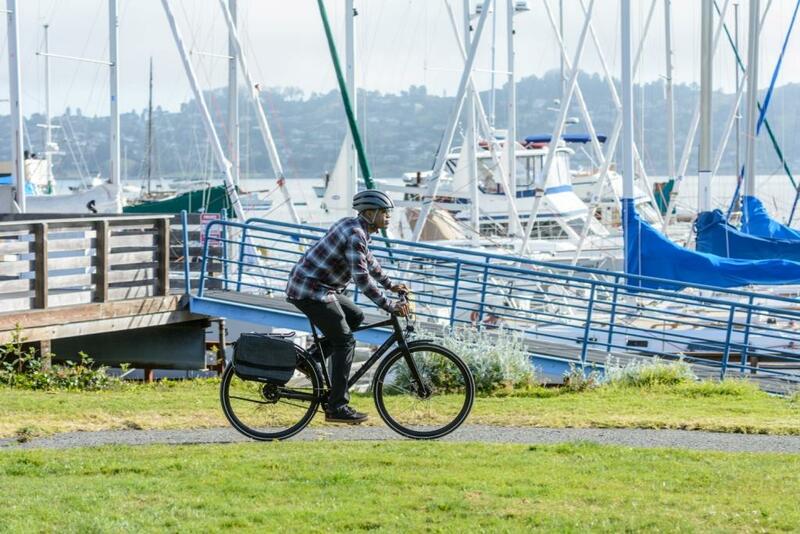 “It’s a worry-free bike created for daily bike commuters,” says Aaron Abrams, Marin’s Director of Product. 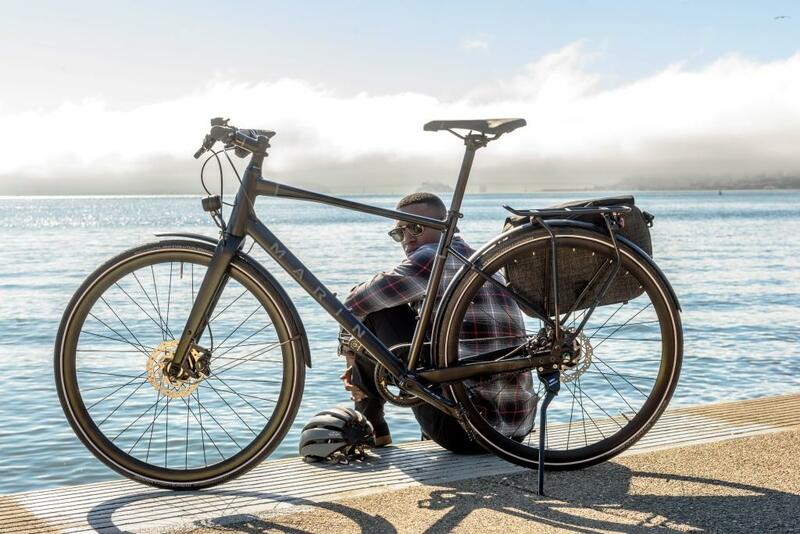 The Presidio 3 is a lower-priced version that features the same lightweight aluminum frame and Gates belt drive with an eight-speed Alfine internal hub. Both are sporty and nimble, ready to rip at road bike speeds while also offering the comfort, durability and practicality of a belt drive commuter. Learn more, and watch the scenic video of the Presidio 4 being ridden along the Sausalito waterfront, at marinbikes.com. Sittin on the dock of the bay, watching the belt spin away. Photo: Brad Quartuccio.